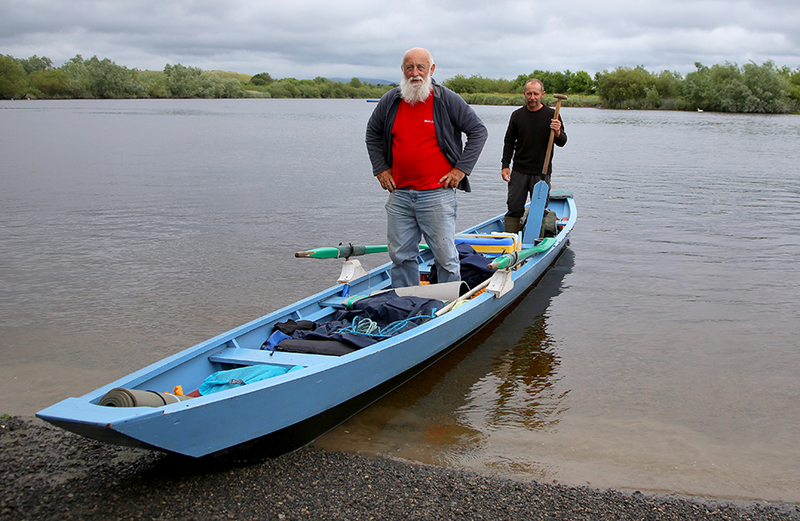 Focus Ireland, who work with homeless people and those at risk of losing their homes, are a participating agency in the Ilen School. 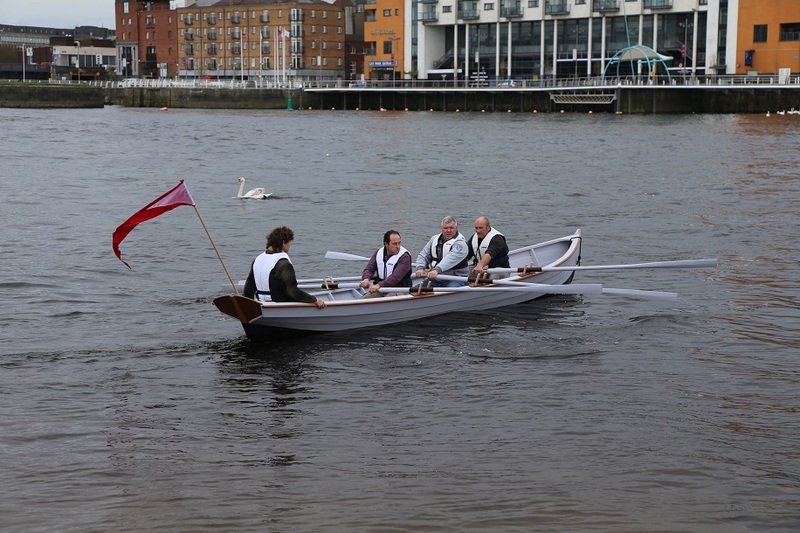 Today was a very special day for Focus and their magnificent clients, a day in which they collectively launched a boat which they built over the last two years. The boat, a very elegant example of a Dory type, is built to a very high standard of craftsmanship – a beautiful community objet d’art. The project which shaped the boat and its builders over many months is part of the Focus’s PETE (preparation for education, training and employment) programme, designed to help and guide those at risk of homelessness and its attendant effects. Working in collaboration with the Ilen School and mentored by its instructors, the PETE programme participants excelled in the task they set themselves and built more than a boat – they built a wonderful support group. “The programme runs with the parallel aim of moving people towards independence, integration, confidence building and personal development. 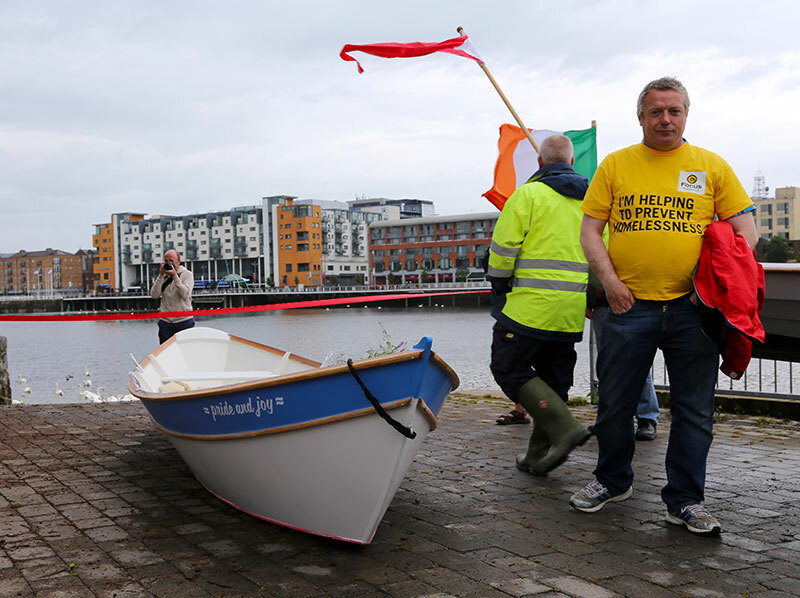 The launch of this project boat today is a celebration of participation, integration and learning, which we at Focus Ireland feel is an outstanding example of team work at it’s best” Vinnie enthused.